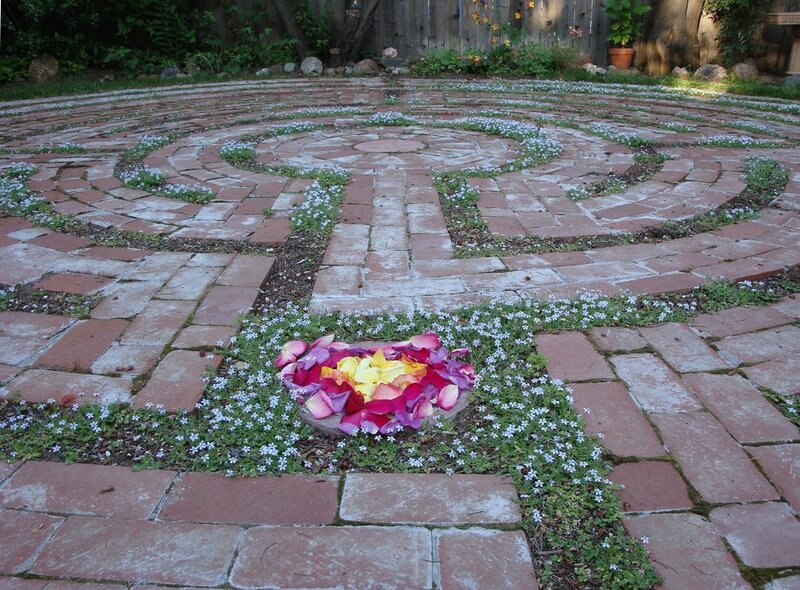 One of the special features of the Santa Rosa Labyrinth© is the heart-space found on the fourth path. From early on, this space has been a distinguishing feature of this contemporary design and has brought a new awareness to the importance of listening and paying attention to the wisdom of our hearts. 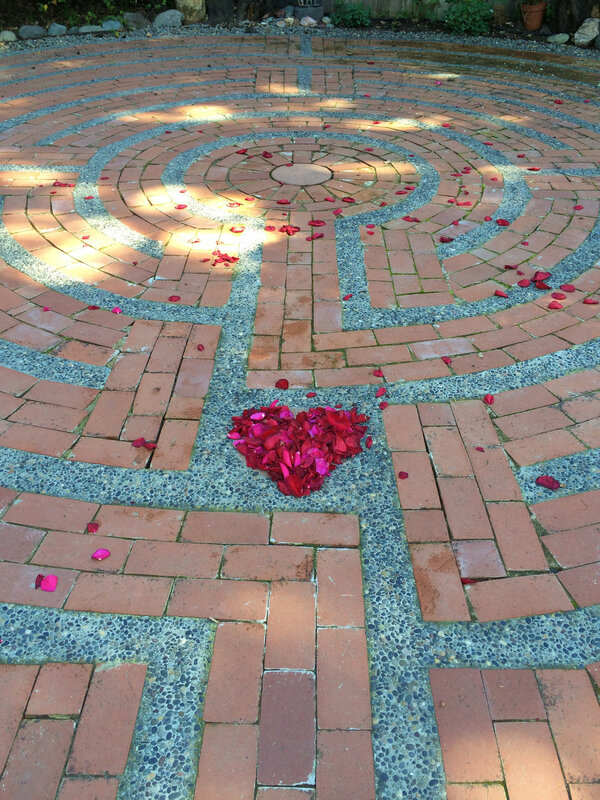 On the day I created the Santa Rosa Labyrinth, I didn't yet realize that it had a heart-space. The design looked like this in my original drawing. Over the next few months, I continued to explore my new design by drawing it on paper and tracing it in the sand and walking it at the ocean with a colleague and friend. 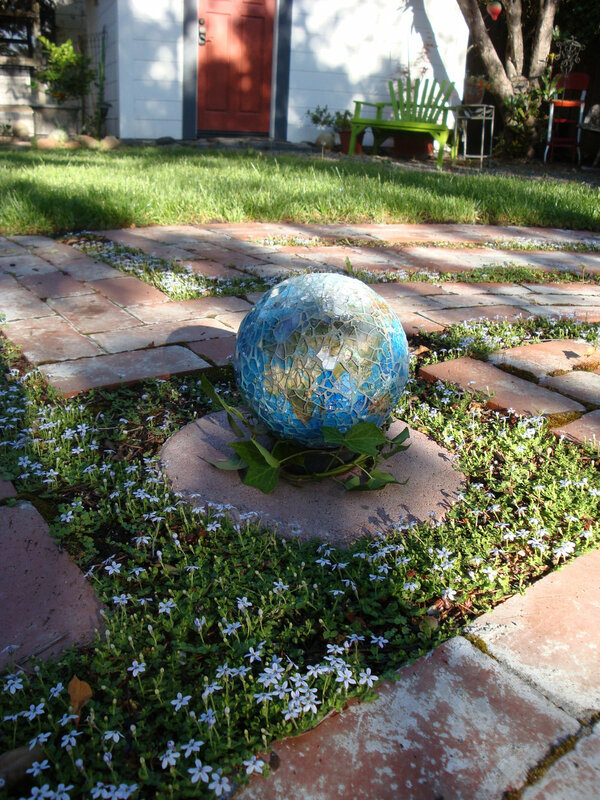 One day, I found myself wondering what would happen if I lined up the entrance path with the path to the center goal? It was that same creative up-welling that I had felt when I first created this labyrinth with compass and pencil. 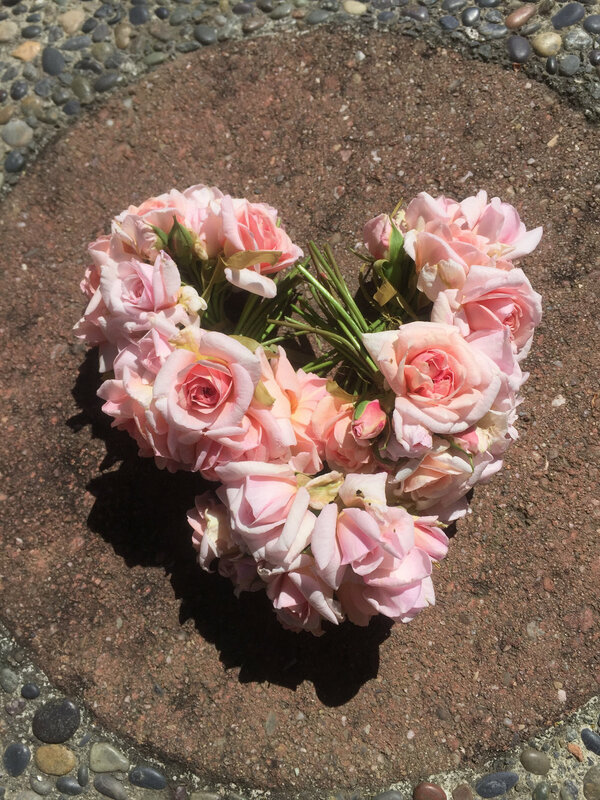 When I followed my creative nudge the heart-space opened. I decided to call it the heart-space because this labyrinth has seven paths that can mirror the seven energy centers of the body. The fourth path correlates with the heart, thus its name, the heart-space of the Santa Rosa Labyrinth. In the historical archives of labyrinths, there are several designs with un-walked spaces. We can't know what the designers of those labyrinths intended with these spaces. It could have been just a design consideration, or it might have had a special meaning. Without any written records any original meaning or intent is lost to us. In my experience, I have discovered that this space is perfect for marking a meaningingful labyrinth walk. 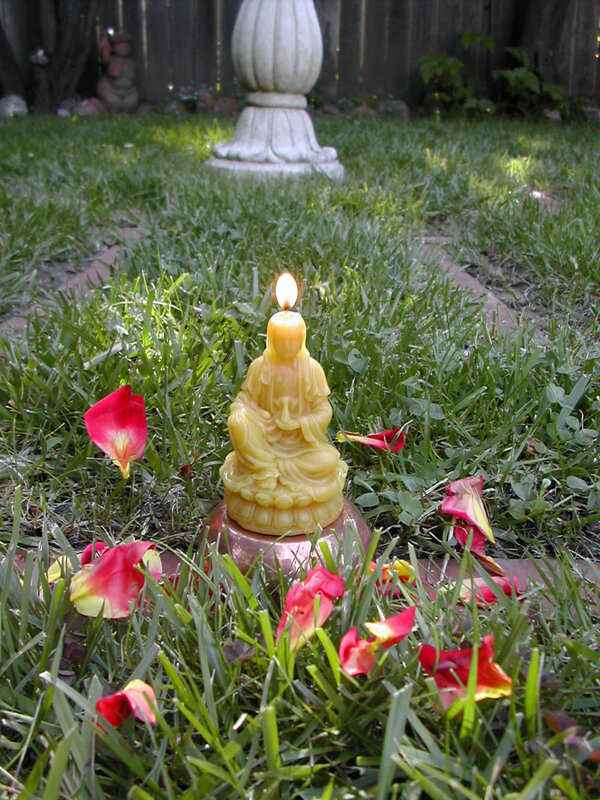 Walking in and out, the heart-space is approached from all four directions. 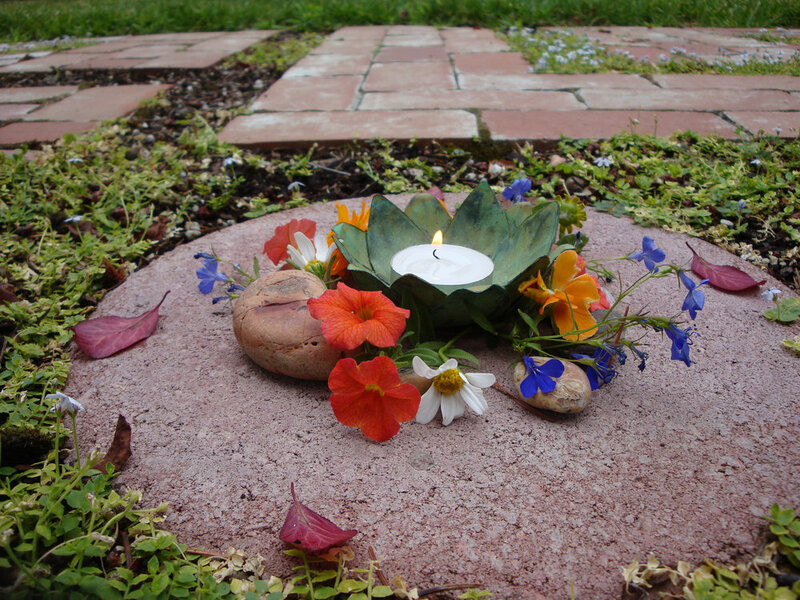 One can place a candle there, a bowl of flowers, and other objects that add purpose to your walk. Or, this heart-space can be left empty and ready for whatever matters most to your heart.